Do you need written content that’s clear, concise and free of even the smallest errors? 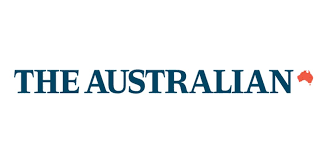 I’m an experienced former print journalist with The Australian, and now a freelance content writer, sub-editor, proofreader and website content manager. I write and edit news articles, features, website content, press releases and grant applications for a wide range of organisations, including large corporations, small to medium businesses, and non-profit organisations. As a freelance writer I bring extensive newsroom experience to my work, producing accurate, clean copy, delivered on time and to brief. Read some of my most recent articles here. If you need accurate, balanced and error-free written content, please get in touch or connect with me on LinkedIn. SEO-pleasing website content, blogs, newsletters, media releases, grant applications, brochures, or any other written content that’s clear and concise. Many years of experience in researching, interviewing and quickly filing news reports and features, particularly in medical reporting. Making sure copy flows well, follows a consistent style, says everything it needs to say, and has no embarrassing grammatical or spelling errors. Giving your written text an eagle-eyed second and third (and fourth) look to check for any typos. Is technology changing the candidate experience?